My painting of Cosmo. 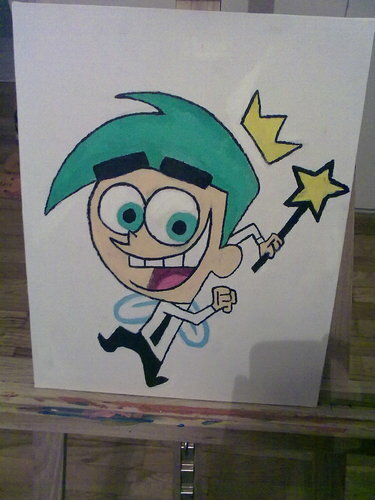 My painting of Cosmo from the Fairly Oddparents made with acrylics. HD Wallpaper and background images in the The Fairly OddParents club tagged: timmy turner cosmo wanda fairly fairly odd parents painting. This The Fairly OddParents fan art might contain 기호, 포스터, 텍스트, 칠판, 사인, 서명, 상자를 포장 케이스 포장, 포장 박스, 포장 상자, and 포장 케이스.